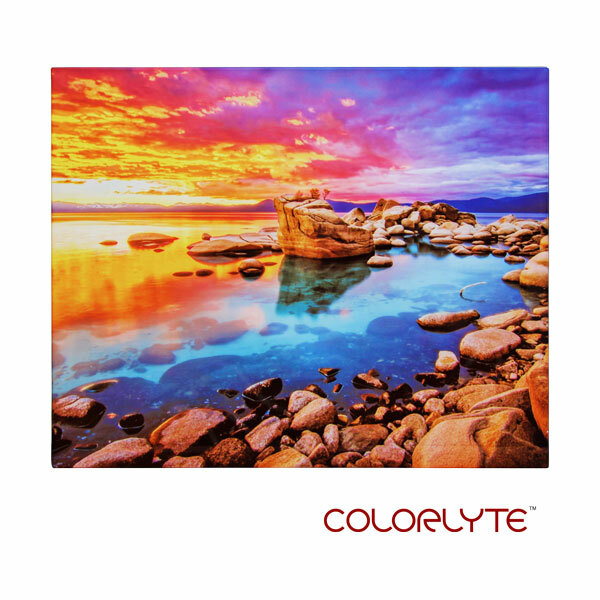 Glass always makes a statement and thanks to our special coating, images can do more. 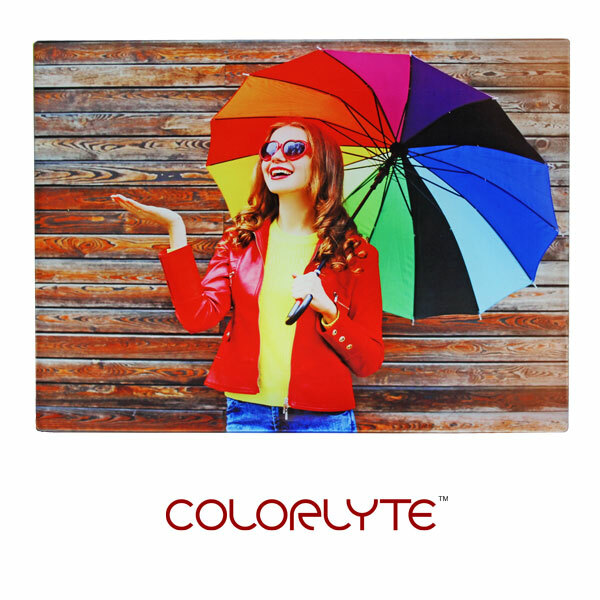 Never have colors been as vibrant, seemed so lifelike, or conveyed as much emotion as they can with our newest technology, ColorLyte. 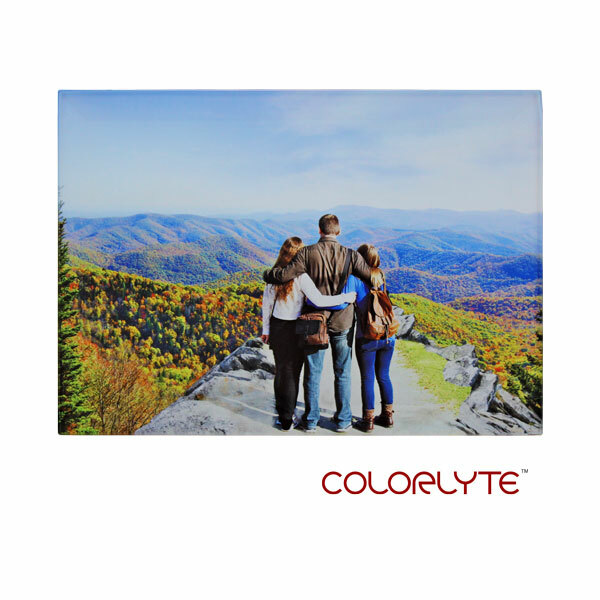 Because of ColorLyte, white can now appear in the image whereas before white was dependent on glass transparency and a white backing. 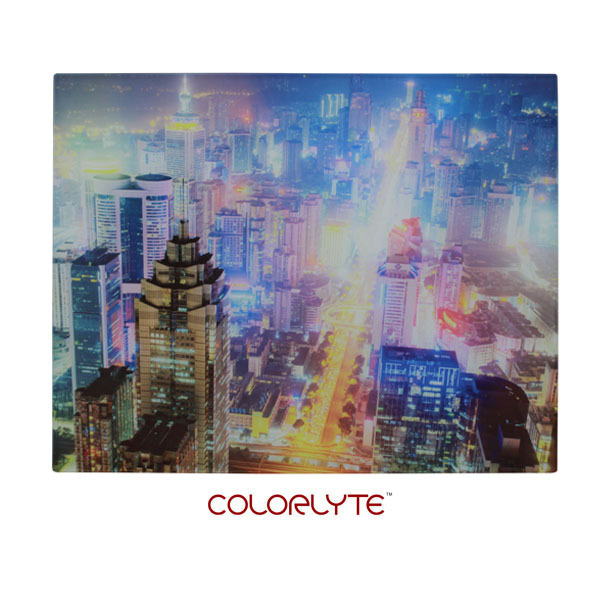 We know that our Condé color key allows for the most vibrant colors and deepest blacks available but ColorLyte allows us to have a new appreciation for white. 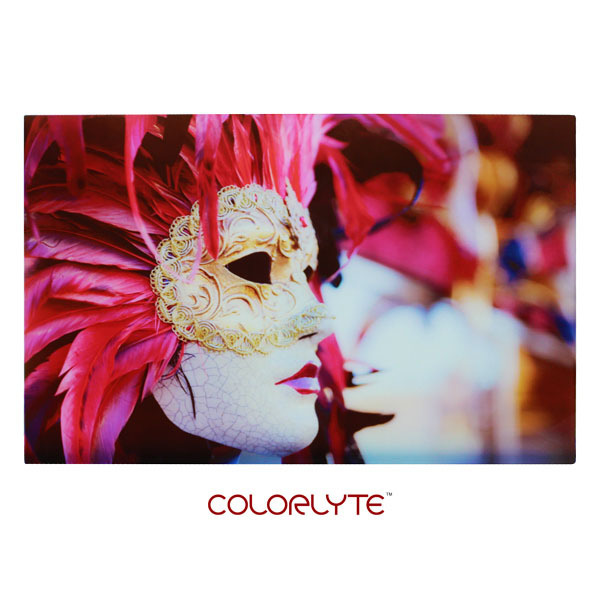 Our ColorLyte glass panels are a must-have decorative display item because they showcase the vibrancy of unique works of art. 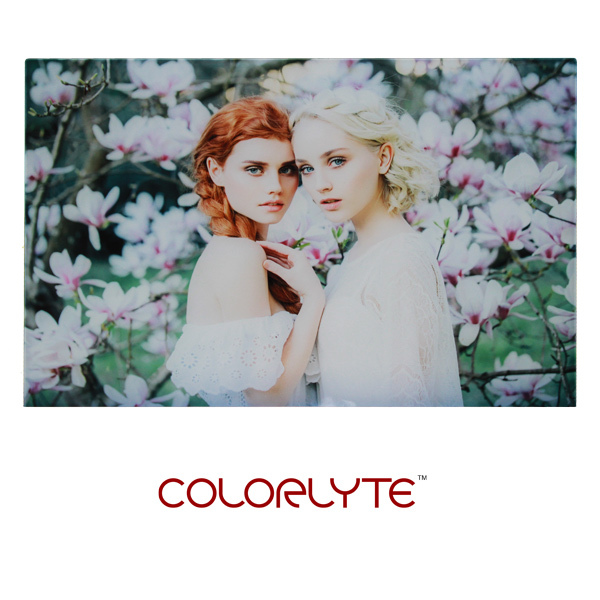 Light enhances the images printed on the ColorLyte panels, therefore, the panels are a great product for photographers to offer their clients. 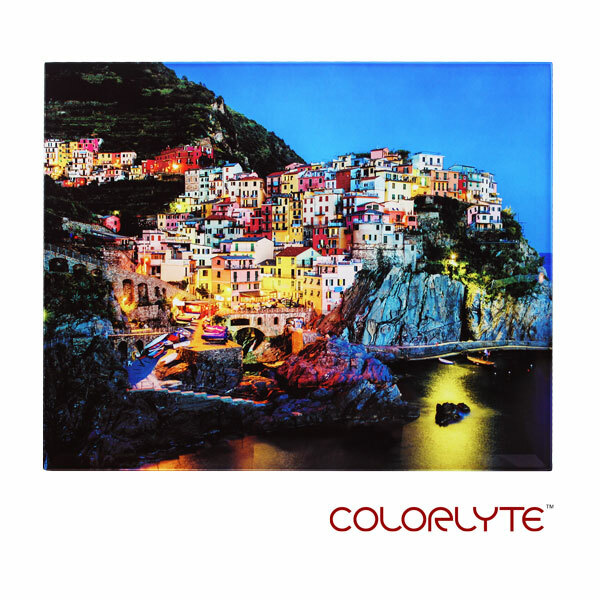 The illuminating affects the panels give photographs is spectacular. 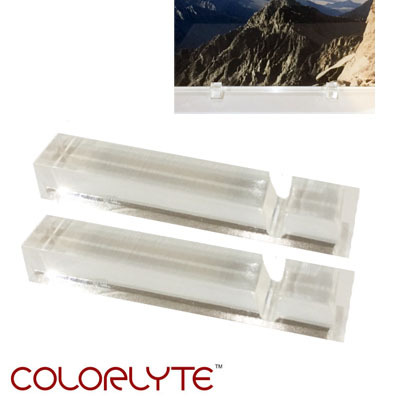 ColorLyte glass panels make fantastic display pieces for lobbies and studios or gifts for buyers that want an extra special reward. 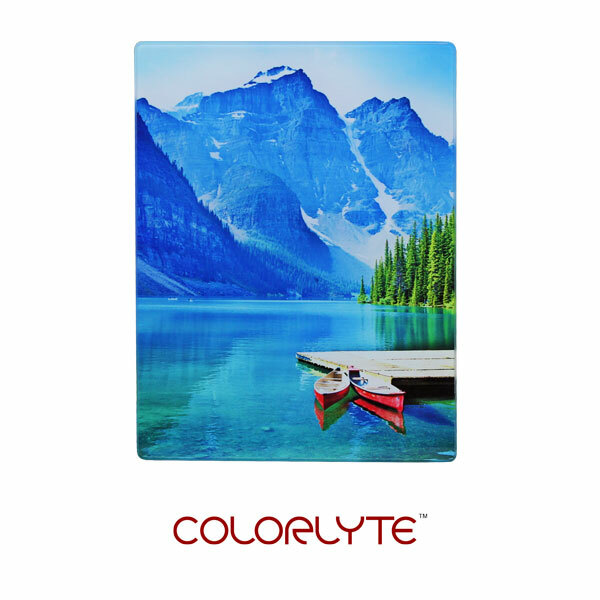 Check the Recommended Retail Price (RRP) below to see the huge profit potential for this product. 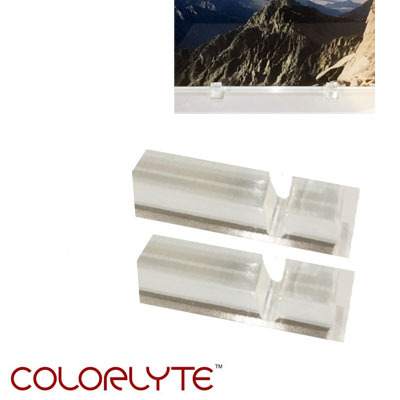 Minimalistic acrylic feet, sold separately, create a complete product solution. 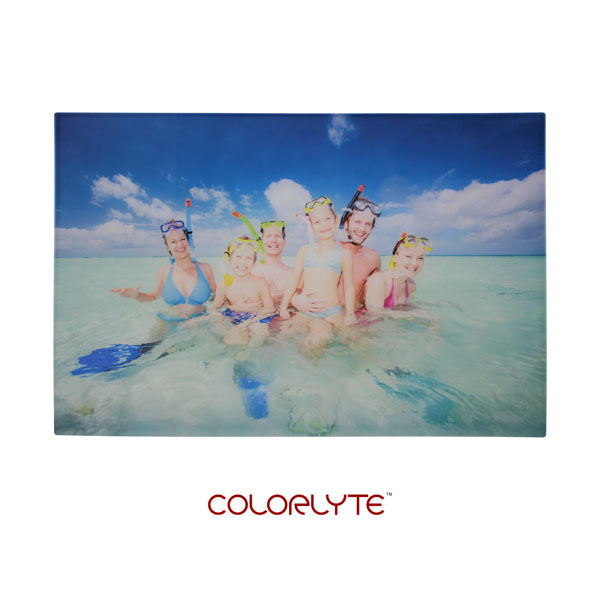 Dimensions: .44" x .56" x 2.94"
Dimensions: .44" x .56" x 2.16"
ColorLyte Sublimation Blank Flat Photo Glass Panel - 20" x 30"
Dimensions: 20" x 30" x .13"
ColorLyte Sublimation Blank Flat Photo Glass Panel - 16" x 24"
Dimensions: 16" x 24" x .13"
ColorLyte Sublimation Blank Flat Photo Glass Panel - 16" x 20"
Dimensions: 16" x 20" x .13"
ColorLyte Sublimation Blank Flat Photo Glass Panel - 12" x 18"
Dimensions: 12" x 18" x .13"
ColorLyte Sublimation Blank Flat Photo Glass Panel - 11" x 14"
ColorLyte Sublimation Blank Flat Photo Glass Panel - 8" x 10"
Dimensions: 8" x 10" x .13"
ColorLyte Sublimation Blank Flat Photo Glass Panel - 5" x 7"
Dimensions: 5" x 7" x .13"
ColorLyte Sublimation Blank Beveled Photo Glass Panel - 11" x 14"
Dimensions: 11" x 14" x .20"
ColorLyte® Photo Glass, 11"x 14"x .20 " Frosted White Flat with .5" Beveled, Rounded Edges. 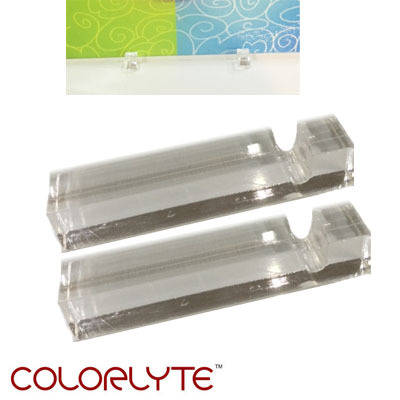 Coated for dye sublimation imprinting. 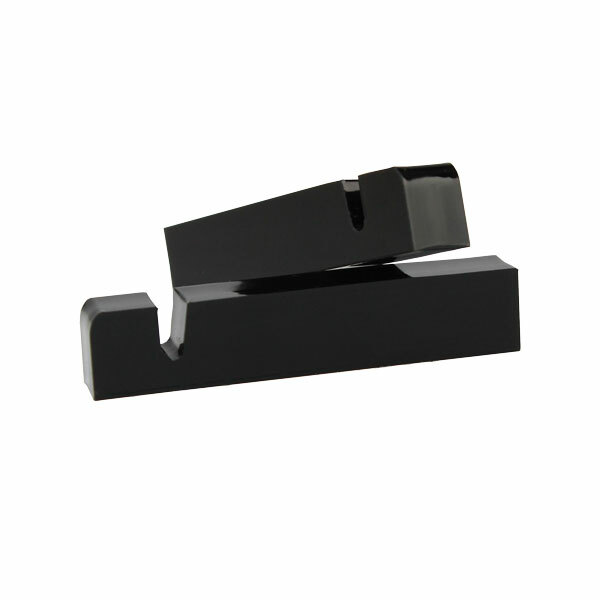 Glass is tempered. 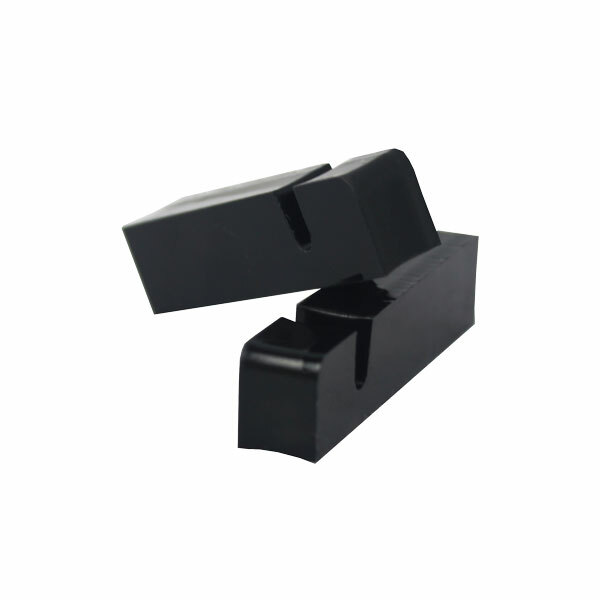 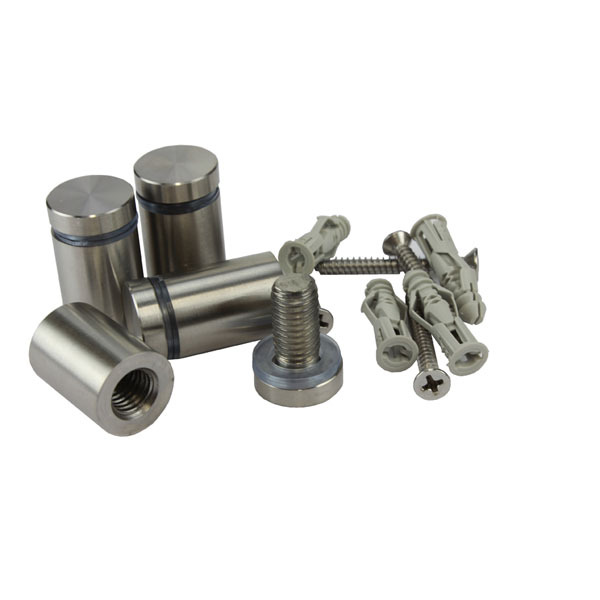 Acrylic mount feet (YZFT04), sold separately. 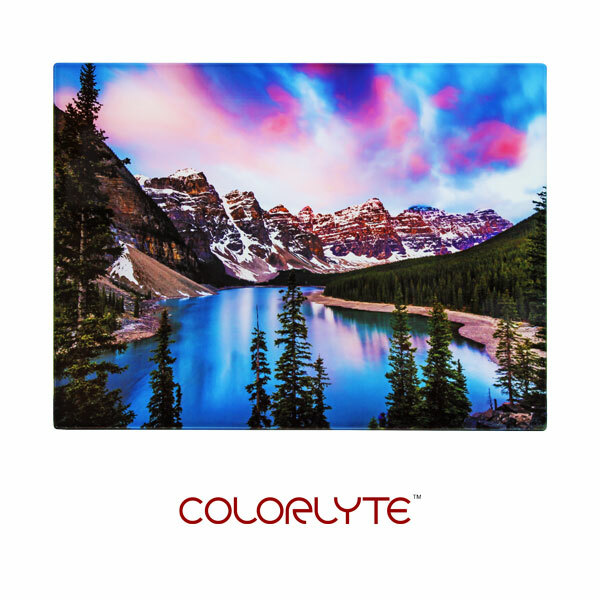 ColorLyte Sublimation Blank Beveled Photo Glass Panel - 8" x 10"
Dimensions: 8" x 10" x .20"
ColorLyte Sublimation Blank Beveled Photo Glass Panel - 5" x 7"
Dimensions: 5" x 7" x .20"
Dimensions: .75" diameter x 1"
Standoff Set, pack of (4). 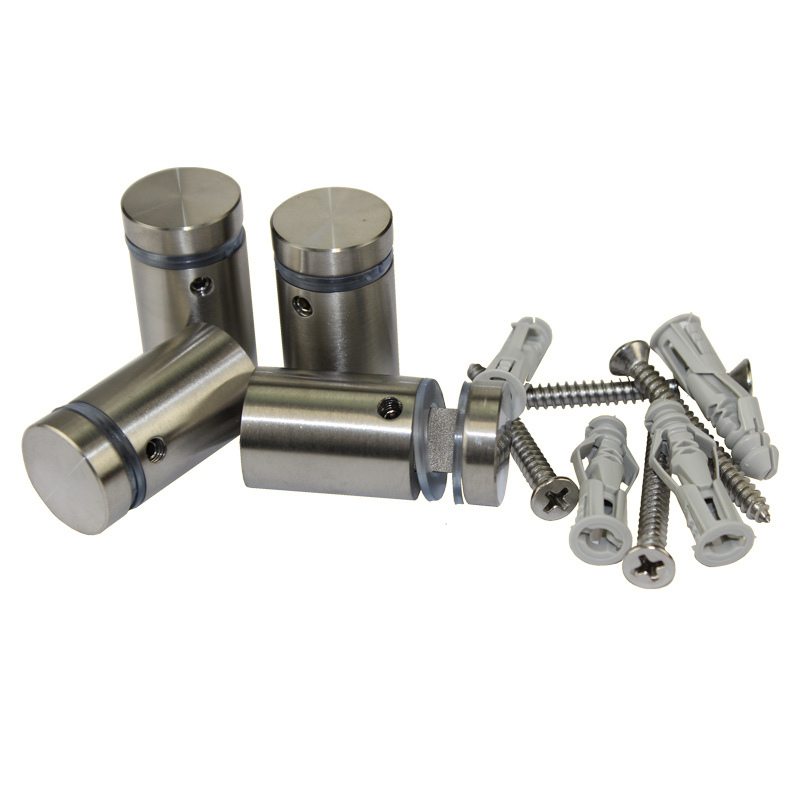 .75" diameter x 1", Satin Stainless Steel (4 pack). 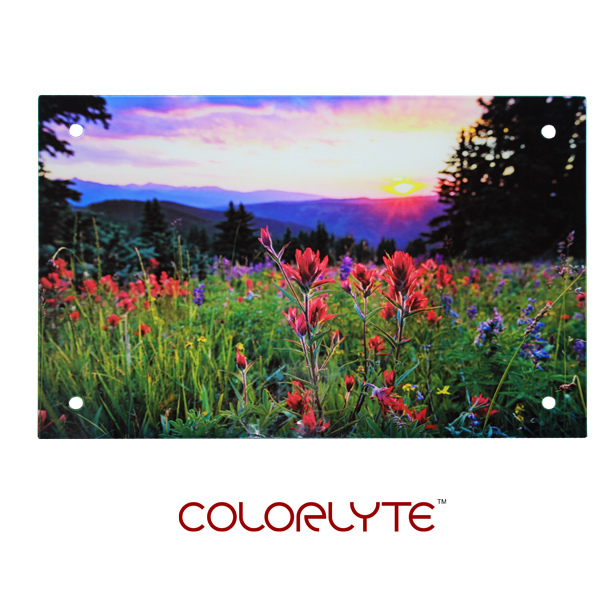 Made to be used with YZ155, pre-drilled ColorLyte Glass Photo Panel, sold separately. 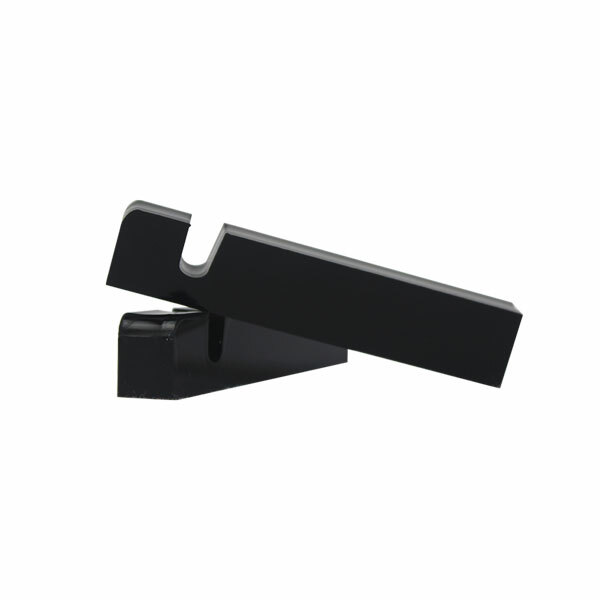 Using with any other panel would require 1/2" holes.